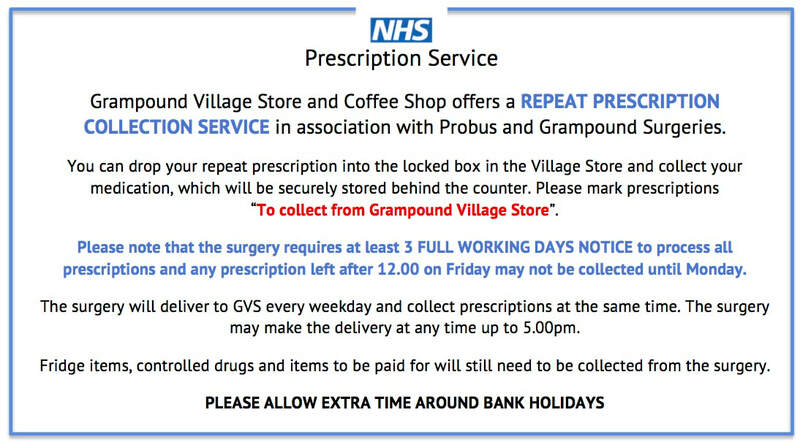 Grampound Village Store and Coffee Shop offers a wide range of goods and we are always willing to try to source items if people ask for them. We have a good range of very reasonably priced vegetables, all the main staples, very tasty Martins bread and cakes, many vegan and gluten free products and a good variety of gift and ‘special occasion’ products. The Coffee Shop offers hot and cold snacks, cakes and hot and cold drinks. Do come and see us and support Grampound’s community-owned shop. The Coffee Shop is also available for private hire for meetings and celebrations - seats 14. Find us on Facebook and join our email list.